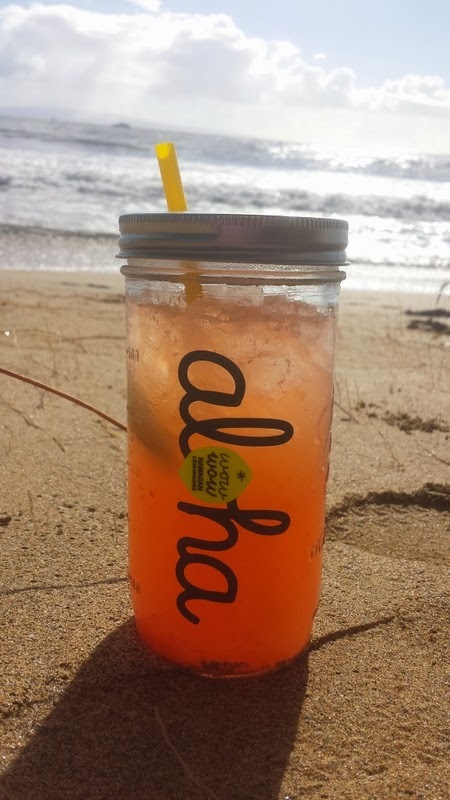 Traveler In The Kitchen: Where did January go? Somehow the first month of 2015 is already in the history books. How did that happen? It was Thanksgiving, Christmas, New Years and now it's mere hours from being February. I have a snarky calendar for 2015 and the page for this weekend says that February is the Tuesday of months. How do you feel about Tuesdays? Or February? Not a whole lot of cooking went down in my kitchen in January, although I did a lot of eating between New Years, a long weekend in Oahu, and my birthday week celebration. Two recipes from food bloggers that I tried this month. Notice that it's not dessert. Yes. I'm eating dinner. And trying not to put as much temptation in my path....or that of my friends. Let's just go straight to their posts to see the step by step and drool-worthy photos. 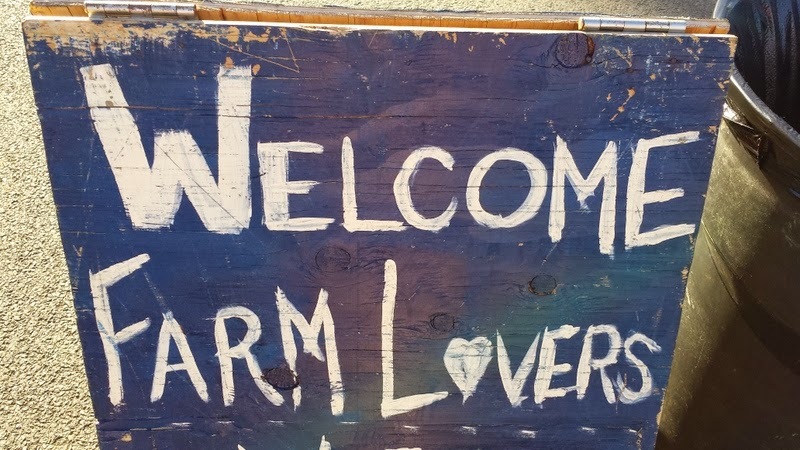 Maui has plentiful farm stands, but not the big farmers' markets that I used to go to in Denver. While visiting a friend in Oahu, we went to the Kailua Sunday market. Small batch hand crafted sausage, crepes, coffee and more. 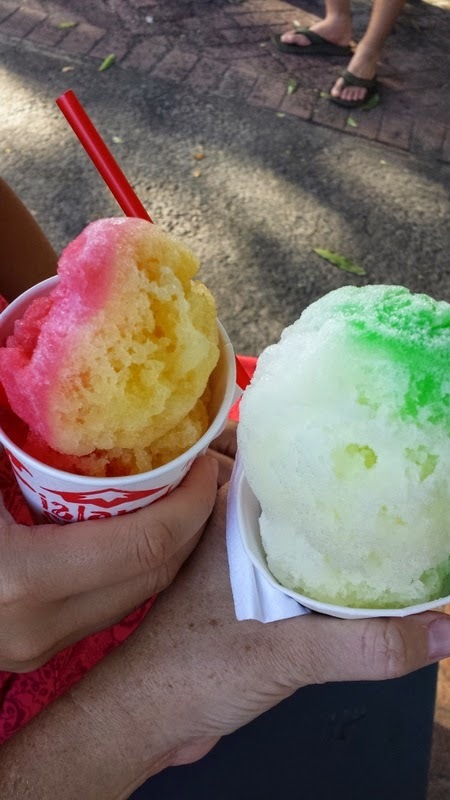 Shave Ice is a part of Hawai'i life. Of course. Getting the goods at Island Snow. Not to mention chocolate that is made bean to bar in the islands. 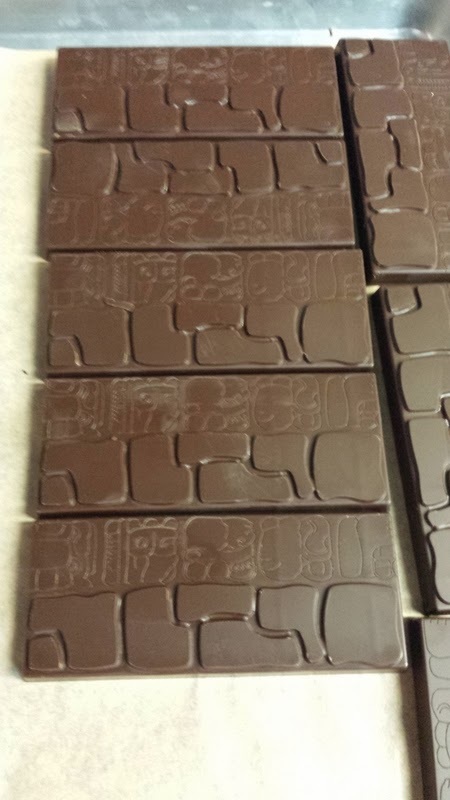 Check out these freshly stamped bars at Madre Chocolate. We had an office birthday dinner celebration. 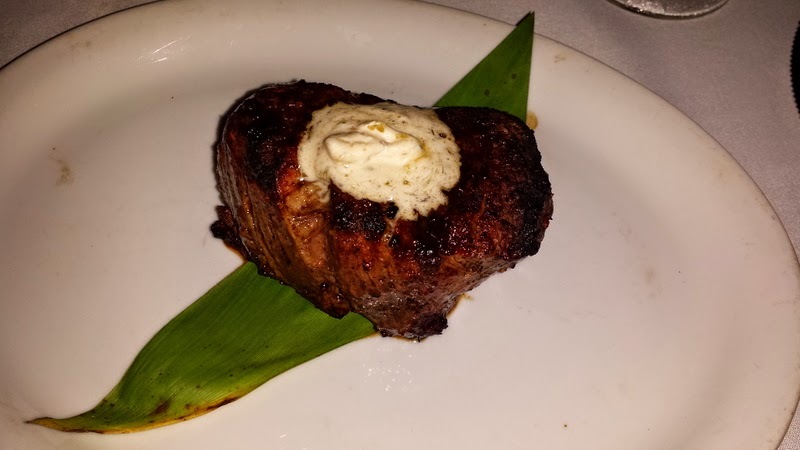 This filet mignon was perfect in every way. 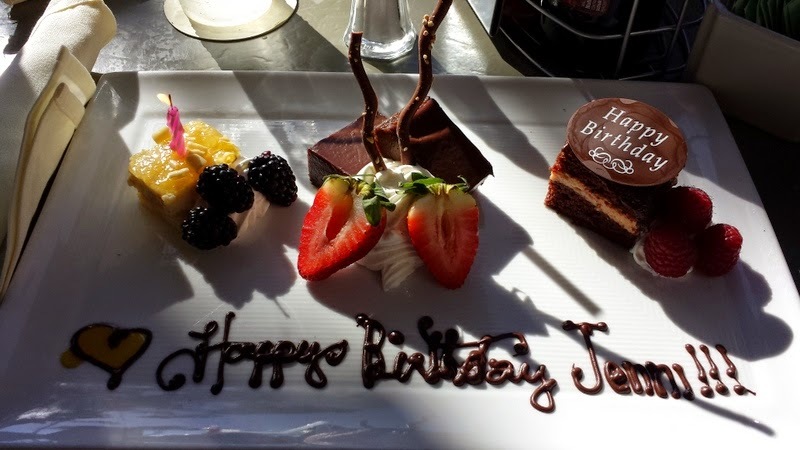 And a few days later, it was time for more birthday treats. Because you can never have too much birthday. Never. Ever. I've determined that February, aside from being the Tuesday of months, will be a month of whales. It's peak whale season and for three weekends in a row, I will engage in a whale-related activity. Today was the Run for the Whales. Next week I'm going on a Whale Photo Safari (yes, a safari, here in Maui, be jealous). The week after that it's the Parade of Whales. So many whales and so much time to enjoy our visitors from Alaska. Did you eat all the things? Or were you good while sticking to your resolutions?